For those who follow behavioural economics closely, 2017 was another great year to celebrate human’s irrationality. Richard Thaler who is known as “father of nudge theory” won the Nobel Economics Prize in 2017, after the U.S. housing-bubble spotter and the author of Irrational Exuberance, Robert Shiller in 2013, and much earlier, Daniel Kahneman of Prospect Theory in 2002. Leading many other behavioural economists, they have built together a solid bridge between the economics and psychology on the analysis of individual decision-making, challenging conventional economic thoughts. 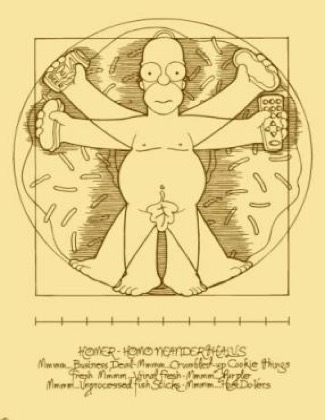 Behavioural economics theory, unlike neo-classical theory based on rational utility maximization of “homo economicus”, assumes that individuals are more of “Homer (Simpson) economicus”, prone to bias, emotional, myopic, easily confused and distracted; plus, love doughnuts. In 2008, Richard Thaler and Cass Sunstein published a book called “Nudge: Improving Decisions about Health, Wealth, and Happiness“, based on their belief that, by utilising such personality flaws, or by understanding the predictably “irrational” cognitive biases, individuals may be “nudged” to enhance the quality of their decision-making. They define “nudge” as the central idea underpinning any aspect of the choice architecture which aims to influence individuals in predictable ways by simple and cheap-to-run interventions, while retaining individuals’ freedom to choose options without significantly changing their economic incentives. In simple words, individuals are “subtly” guided toward choices which are beneficial to them through psychologically grounded soft behavioural interventions, i.e. “nudges”, rather than heavy-handed compulsion. Exploring the consequences of limited rationality, social preferences, and lack of self-control of individuals, ideas behind “nudge” that go into making a persuasive argument are both entertaining and savvy, despite its own limits to rationality. Behavioural interventions including default options, personalisation, salience and framing have been applied in various domains including health and well-being, tax compliance, and organ donations. A well-known example is the “Save More Tomorrow” initiative of Thaler and Benartzi (2004), a prescriptive savings program which encourages employees to increase their rate of saving on receipt of a pay rise while reserving to them the ability to “opt-out”. Behavioural economists have been successful in attracting attention from international policy makers, the Behavioural Insights Team and Nudge Unit are embedded in the US and UK government departments to tackle and address social, political and economic problems including poverty traps, high unemployment rates, energy consumption and carbon emissions, obesity, ageing populations and the associated pension and healthcare costs. Under the concept of “libertarian paternalism”, governments attempt to “nudge” us with low-cost and behaviourally-informed interventions into making better choices for ourselves. Some might rightfully say leave “grown-ups” alone to make their own choices. Behavioural economists, however, believe that humans prefer having fewer choices over many, regardless of whether they are educated or not. In order to implement the concept of “nudge” to increase private donations to art organizations, we introduced the possibility of “loss aversion” affecting individuals’ willingness-to-donate, predicated on the assumption that their revealed values are contingent upon hypothetical scenarios included in experiment-based surveys. According to Prospect Theory (Kahneman and Tversky, 1979), the pain experienced as a result of losing a given amount is more than twice the pleasure produced by gaining the same amount, which is a reflection of individuals’ loss aversion. To test the loss aversion effect, we framed a question on a contemporary art exhibition visitors’ willingness-to-donate in terms of “gain” and “loss” in addition to the control version in order to test our hypothesis that the average willingness-to-donate is highest for the loss-framed version, followed by the gain-framed, with the unframed version last. Believing that the magnitude of the loss aversion effect may also be dependent on the level of interest which individual visitors have in visual art, we used “the frequency of exhibition visits” as a proxy to examine whether the loss aversion effect differs between frequent and non-frequent gallery-goers. When potential donors were nudged to donate by the hypothetical scenario of “losing” the existing exhibition, and also by that of “gaining” an additional exhibition, we observed significant loss aversion effects as frequent gallery-goers donated more in order to avoid losing an exhibition. While both prospective gain and loss scenarios were effective in nudging non-frequent gallery-goers, the prospect of enjoying “one more” event was observed to be stronger. Although we argued that art organisations may be able to increase support by exploiting the psychological characteristics of prospective donors, we also addressed the ethical concerns about nudge. Employing “wolf-at-the-door” fundraising strategies based on loss-framed scenarios, as was in our paper, may carry the risk of forfeiting the trust of donors. Understanding differing donor interests, attitudes, psychological antecedents and motivation is, however, essential to the creation of effective messages and the application of thoughtful market segmentation in their pursuit of donors by many art organisations under persistent financial pressure. Other “nudge” ideas include default options to increase membership levels, the development and introduction of donation games, and the personalisation of messages when communicating with future donors are also applicable. The underlying idea of nudging is that how you frame someone’s options can affect their decisions, can also reveal someone’s “true” preferences. The Cambridge English dictionary defines the word “nudge” as “to push someone gently with your elbow, to attract the person’s attention. Many of us art lovers need a gentle push from time to time to wake up and appreciate what we receive from the arts and not to take “for granted”. Kahneman, D. & Tversky, A. (1979). Prospect theory: An analysis of decision under risk. Econometrica, 47, 363-391. Thaler, R. & Benartzi, S. (2004). Save more tomorrow: Using behavioral economics to increase employee saving. Journal of Political Economy, 112, 164-187. Thaler, R. H. & Sunstein. C. R. (2008). Nudge: Improving decisions about health, wealth and happiness. Yale University Press, New Haven, CT.
Lee B, Fraser I & Fillis I (2017) Nudging Art Lovers to Donate, Nonprofit and Voluntary Sector Quarterly, 46 (4), pp. 837-858. Boram Lee, is a Lecturer in Accounting and Finance at the University of Stirling, UK and her research specialises in the field of behavioural finance. She has a wide range of research interests, covering valuation of arts and culture and well-being of artists.